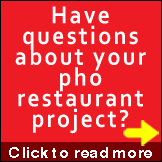 Home›Pho East Coast›Washington DC Pho - Can our Capitol Compare? 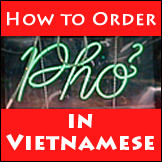 Well, in short, the answer is no...at least at Sai Gon & Grill, but never fear, there are still a lot more Pho places around Washington DC and the Virginia area. First off, to be able to walk to Pho from your workplace is nothing to complain about. So I guess that's a fair tradeoff...a mediocre Pho place in walking distance whenever you have an immediate Pho craving. 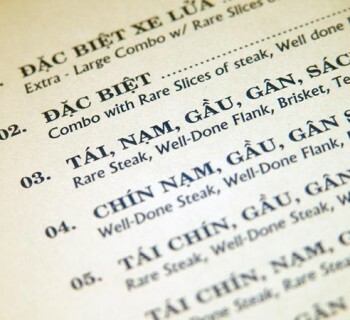 Located in the heart of Washington D.C.' Chinatown district, mediocre is all I can say about Sai Gon & Grill. 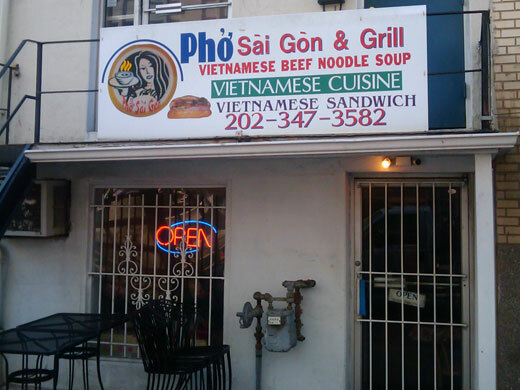 I was expecting a gem from this hole-in-the-wall Viet restaurant in a sea of Chinese. 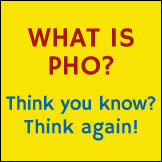 I guess you can't always trust your instinct...especially when you're dealing with Pho. The dumpiest, most run-down places are sometimes the best, and the fanciest most over-priced are sometimes the worst. Anyway, after snapping a quick shot of the exterior I walked through the doors into a small, dingy place. There were tables covered in watermelon tablecloths and a soap opera playing on tv to the left of the counter. I walked straight up to the counter and was greeted by a nice Viet lady. 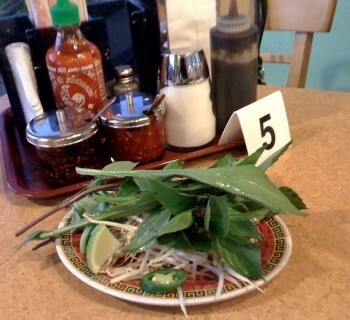 I got straight to the point and said "Pho Ga please." "One bowl of Pho Ga" she said back to me. 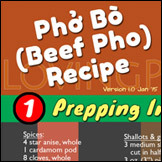 I noticed a lady in the kitchen behind cooking the Pho who I established as her mother, so it looked like a mother/daughter operation, which was promising. I took my seat and about 4 minutes later I get a call from the daughter saying "Pho Ga ready." Alright! My mouth was already watering watching the people around me slurping theirs down. I went up to the counter and grabbed my tray. 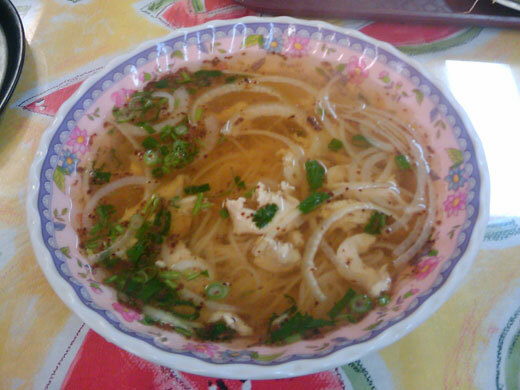 On closer observation the Pho looked pretty decent. On the other hand, the garnishes were kind of sparse and although the bean sprouts were fresh, the basil looked kind of sad and there was a sliver of lime to work with. I grabbed for the hoison and sriracha and the bottles felt really grimy like they hadn't been wiped off in a while. As I put the sriracha in, I noticed it was a little watery. What was going on here? I've heard of watered-down drinks before, but not sriracha. I can't say I won't be back, but I will say not too often. If you're in the area and are craving a convenient bowl of Pho then Sai Gon & Grill will suffice, but I wouldn't go out of my way for it. * No points for expected garnishes of sprouts, Thai basil, lime and chiles. 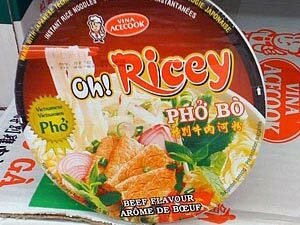 Instant Pho: How Good Are They? Wow Tim, sorry about the experience. You were flying so high in Atlantic City, and now having to crash and burn like this? But I have to admire your sense of adventure. Maybe it’s just me, but based on your description I think you were quite generous with the points. Also I would think any Chinatown now would have a decent variety of Viet restaurants? And what are those dark red specks in your bowl? Anyway you just achieved the lowest points so far. Congrats.